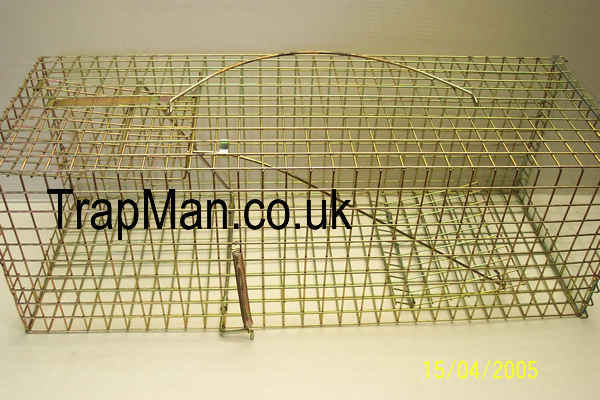 The Trap Man Gold Pro Feral cat trap, a live capture humane feral cat trap cage as used by cats protection, animal welfare, trap neuter release programs and local authorities etc. 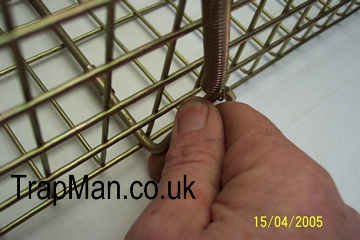 A very strong feral cat trap, light in weight, 4 kilos, welded steel mesh frame with a Plexiglas see through sliding rear door that make catching and removing the feral cat much easier. 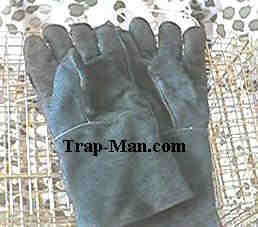 The feral cat can SEE through the Pro Gold Feral Cat Trap it thinks it can get clear out through the"tunnel" and is not so wary of stepping inside.Wear heavy gauntlet type work gloves (available here) while handling the feral cat and trap. Pro Gold Feral Cat Trap Large door opening invites the wary feral cat inside, no dark, noisy sheet steel door to scare the feral cat. 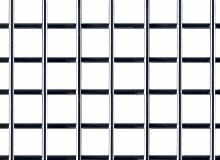 Our Gold Pro Feral cat trap has outward closing lightweight mesh door that is spring loaded with a positive locking bar and is designed not to trap the feral cat's tail. 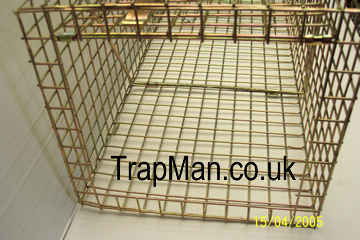 Traps with inward closing doors tend not to be long enough as they rely on the cat being forced forward into the trap by a heavily sprung sheet steel door. We live in a society where nobody says thank you anymore - so I wanted to put that right by saying a big thank you to all concerned in the above order no. 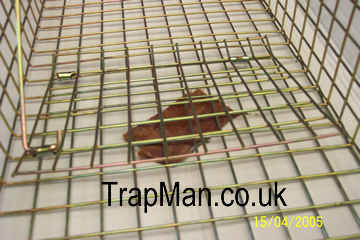 From the start of the transaction to the arrival of the cat trap in Spain the service was exceptional. All my emails were answered promptly and with courtesy. I know you probably don't have contact with DHL direct but again the delivery service was superb. My friend in Spain can now trap the local feral cats, have them neutered and return them to their surroundings knowing that the cat population of her area will be reduced.